Aside from the “Miami Nights” edition, Nike also confirmed one of the newest colorways of the Nike LeBron XI that surfaced on web few weeks ago. 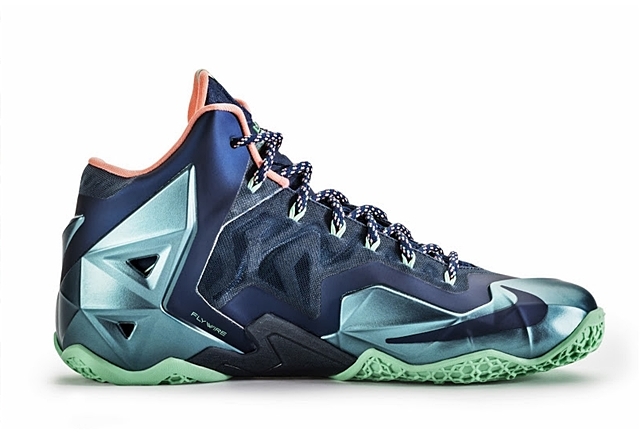 LeBron 11 fans should watch out for the impressive “Akron vs Miami” edition of the shoe that is set to come out on December 7th. The shoe commemorates LeBron James’ journey from Akron to his current home — Miami. The blue hints on the shoe represent the blue-collar workers of Akron, while the pink hints symbolize his current city. If you are looking for an excellent shoe this Holiday season, make sure to put this one on top of your list.